What is happiness? Is it a journey or a destination? 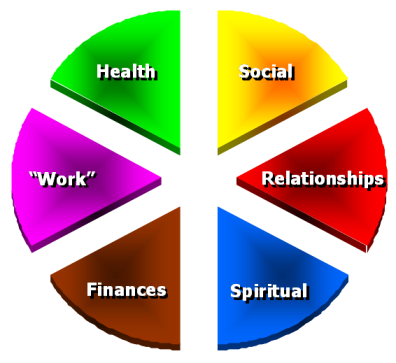 What is required for total happiness and fulfillment in life? Is true happiness really possible? There is a simple formula for happiness. Yes, you can create your happiest possible life just by following the simple step-by-step process I have created with an easy-to-understand formula anyone can use to BeHappy! What are you passionate about in your life? Are you using whatever you are passionate about in your life in some way? If you "work for a living" are you using that passion to derive your income? Life can be hectic and stressful (duh!). Is the stress of life getting to you? Do you worry a lot? If so, it is hurting both your mind and your body - and could contribute to many health issues in the future. Don't let that happen! Why are you here on this earth? What are you meant to do, accomplish, and contribute? Is there really a purpose to our lives anyway? If so, how can you find that purpose and use it to make a difference to yourself and others? Many people get comfort, joy, and fulfillment through a spiritual connection. A strong sense of community, connection, and optimism can be created through spirituality. We all get pulled in different directions in life. With work, kids, friends, family, errands, chores, staying fit and healthy, our spiritual life, and everything else "pulling on us" it's tough to balance them all. Learn how (and why) to create life balance here. 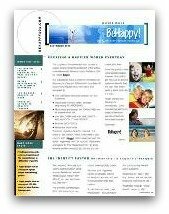 I'm giving away free AUTOGRAPHED copies of my foundational book, BeHappy! to help everyone get started on a path to complete happiness. Just click the button below and I'll sign one and send it out to you right away (just pay shipping). 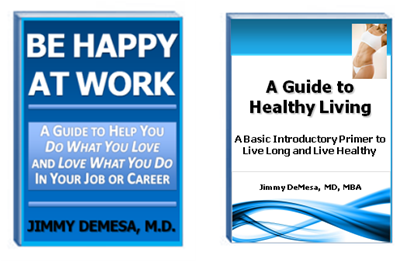 I'll also send you FREE copies of my ebooks, Be Happy at Work and A Guide to Healthy Living as yet another gift from me.